Admission: £4, Concession £2.50, 50% off to National Art Pass Holders. 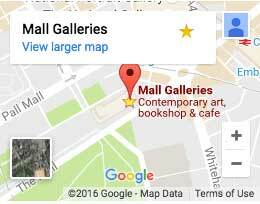 Free to Friends of Mall Galleries, SWLA Friends and under 18s. The Natural Eye, the annual exhibition of the Society of Wildlife Artists, shows the very best of art inspired by the natural world. The open exhibition shows a wide range of contemporary work from both members and non-members which celebrates the wild whether it is close to home or further afield. The different approaches to the subject ensures a delightful mix of the detailed to the more abstract in many different media including oils, watercolours, pastels, printmaking, drawing and sculpture. Inspired by the Society of Wildlife Artists we will have live animal life models!